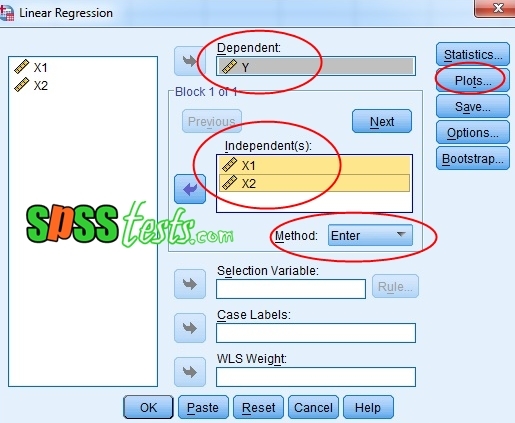 Heteroscedasticity Chart Scatterplot Test Using SPSS | Heteroscedasticity test is part of the classical assumption test in the regression model. To detect the presence or absence of heteroskedastisitas in a data, can be done in several ways, one of them is by looking at the scatterplot graph on SPSS output. 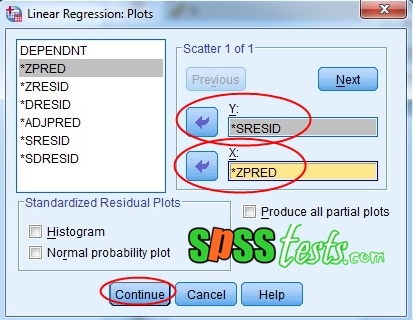 The working principle of heteroscedasticity test with this method is to see the Scatterplot graph between the predictive value of the independent variable that is ZPRED with the residue of SRESID. 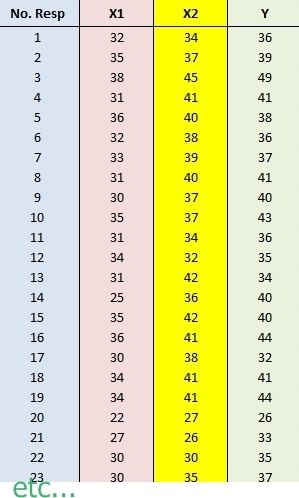 If there is a particular pattern in the SPSS Scatterplot Graph, such as the points that form a regular pattern, it can be concluded that there has been a problem of heteroscedasticity. Conversely, if there is no clear pattern, and spreading dots, then the indication is no heteroscedasticity problem. For example, I have a regression model that is: "The effect of X1 and X2 on Y". 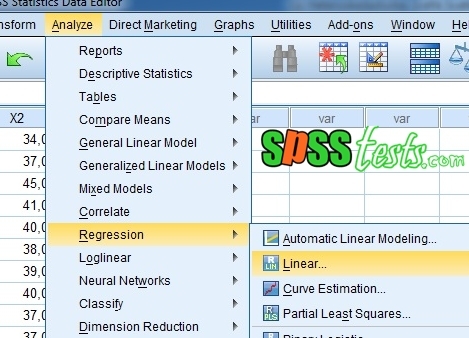 For the data above regression model can be seen in the picture below. 1. 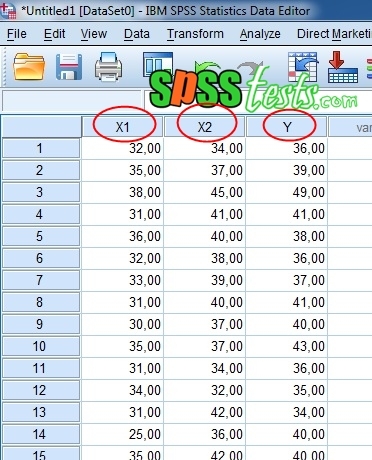 Activate SPSS program, then click Variable View, then on the Name write X1, X2, and Y. 2. Then click Data View, then enter the value for each variable. Based on the Scatterplot ouput above, it appears that the spots are diffused and do not form a clear specific pattern. So it can be concluded that the regression model does not occur heteroskedastisitas problem. 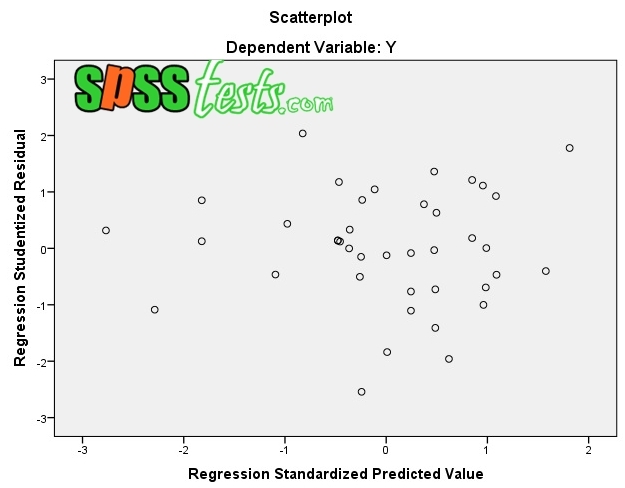 2 Responses to "Heteroscedasticity Chart Scatterplot Test Using SPSS"